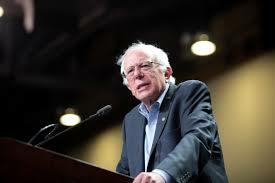 According to a new Reuters/Ipsos poll, 44 percent of Democrats want Democratic presidential candidate Bernie Sanders to make an independent run for the White House. hat bears repeating, that’s 44 percent of Democrats, not 44 percent of Sanders supporters. That number closely corresponds to the 43 percent of voters who have chosen Sanders over rival Hillary Clinton in the Democratic primary to date. The poll also found that more than three-quarters of Democrats say Sanders should have a “major role” in shaping the Party’s positions and that nearly two thirds say Clinton should choose Sanders as her vice-presidential running mate. Sanders and his supporters can now rest assured that their voice in deed has been heard throughout much of the Democratic Party and that they are influencing its base, for whatever that might be worth. However, the poll also suggests that many Democrats still seek Party unity, with nearly two thirds saying that Sanders should endorse Clinton. Sometimes you get uncomfortable overlap with polling questions. The slight overlap in this case could suggest that roughly 10 percent of Dems would be content if Sanders either ran as an independent or endorsed Clinton, rather than both. The poll was conducted from June 7-10 and included 455 respondents. It has a credibility interval, a measure of accuracy, of 5.3 percentage points. A previous Reuters poll also found that Sanders was the most popular candidate for the role of Commander in Chief among all likely voters (identified Democrats, Republicans, and independents), earning 38 percent of the vote to Clinton’s 31 percent and Republican Donald Trump’s 26 percent. These new poll numbers must be troubling for the Clinton campaign as Sanders has repeatedly vowed to stay in the race through the convention and is meeting this evening with several close advisors to discuss “the future” of his campaign. While Sanders has maintained that he will ultimately support whoever the Democratic nominee may be, the spectre of a possible independent run by the Vermont senator must still haunt Clinton, especially when considering how much better he does among crucial independent voters than she does. Sanders beats Clinton by a staggering 31 points among independent voters nationally, and he also has a track record of courting substantial numbers of independents and Republicans both in Vermont and nationally. You combine that with the fact that nearly half of Democrats want him to run as an independent, and you could have one of the most viable independent runs in recent history. He could pull a majority of blue states, swing states, and even some red states — he did very well in several deep red states outside of the Bible Belt during the primary. Trump and Clinton both also have huge likability deficits when compared to Sanders. In a three-way race, both Clinton and Trump will have a tough time against Sanders.